Does Workers Comp Insurance Apply To Volunteers? In 1906, James Powell, Sr. founded Powell Law. Since then, our attorneys have litigated workers’ compensation cases involving all types of workplace injuries. Our body of knowledge and expertise clearly provides our clients with a unique, distinct, and incomparable advantage. Powell Law has an established 113-year-old reputation throughout northeastern Pennsylvania for advocating on behalf of injured workers and securing them compensation benefits. Those who volunteer help meet the many needs of our communities, especially those with limited resources. Some areas depend on the work and assistance of volunteers to provide important services. 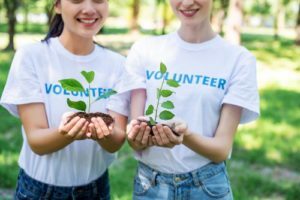 When a volunteer is injured in the course of his duties as a volunteer, does workers’ compensation insurance cover a volunteer’s losses similar to those of employees? Pennsylvania law generally does not provide workers compensation benefits to volunteers although § 601 of the Pennsylvania Workers’ Compensation Act (the “Act”) includes several types of volunteers in the definition of “employe” (yes, spelled “employe” back in 1915 when Pennsylvania’s most important workers’ compensation legislation was enacted). Volunteer firefighters, including any paid firemen who are members of a volunteer fire company and perform the services of a volunteer fireman during off-duty hours, are entitled to workers compensation benefits. They are entitled to receive compensation in case of injuries received while actively engaged as firemen or while going to or returning from a fire. Members of a municipality’s volunteer ambulance corps, as well as members of rescue and lifesaving squads, are also covered under the Act. These volunteers are entitled to receive compensation in the case of injuries received while actually engaged as a rescue and lifesaving squad member attending to any emergency to which that squad has been called or responded. This includes any injuries suffered while traveling from and directly returning to a volunteer’s home, place of business or other places where the volunteer was when he received the call or alarm. Coverage also applies to injuries incurred while participating in rescue and lifesaving drills, as well as any injuries resulting from repairing or doing other work about or on the location of such rescue. Volunteers working for the State Parks and Forests Program are entitled to receive compensation in case of injuries received while actually engaged in performing any duties in connection with the volunteers in the State Parks and Forest Program. Forest firefighters, as well as members who volunteer with a hazardous materials response team, are also considered “employes” under the Act and therefore entitled to workers’ compensation coverage. Employees who, while in the course of employment, suffer injury when preventing a crime or rendering first aid, emergency care or rescue may also be covered under the Act. A new bill introduced in the Pennsylvania legislature in the summer of 2018 would ensure members of volunteer fire and ambulance companies qualify for coverage under Pennsylvania’s workers’ compensation program if they’re injured in the line of duty. If you have suffered an injury in the course of your work as a volunteer and are unclear if you are covered under Pennsylvania law and any benefits are available, consult the knowledgeable and experienced workers’ compensation attorneys at Powell Law. Contact Powell Law at call (570) 961-0777. The consultation is FREE.